You likely know the importance of unlocking the bootloader of an Android smartphone if you’re here on XDA. There are some carriers in the United States who do their best to prevent this from happening, and we’ve even had some smartphone OEMs begin to tighten up the grip on this ability as well. Xiaomi has been a bit of a mixed bag in this department. They used to be as easy as OnePlus or Pixel phones, but then they started making people wait as long as 2 months before they were allowed to unlock their phone. Poco is a new sub-brand from Xiaomi and they have confirmed owners will only have to wait 3 days until they can unlock the bootloader of the Xiaomi Pocophone F1. For Xiaomi, it was easy at first, but then the company started requiring owners to use their Mi Unlock tool in order to combat resellers that try to sell devices with modified software. They even implement a wait time, which used to be three days, but was then extended to 15 days. We’ve seen some that had to go as long as 2 months before they could unlock the bootloader of their Xiaomi device. 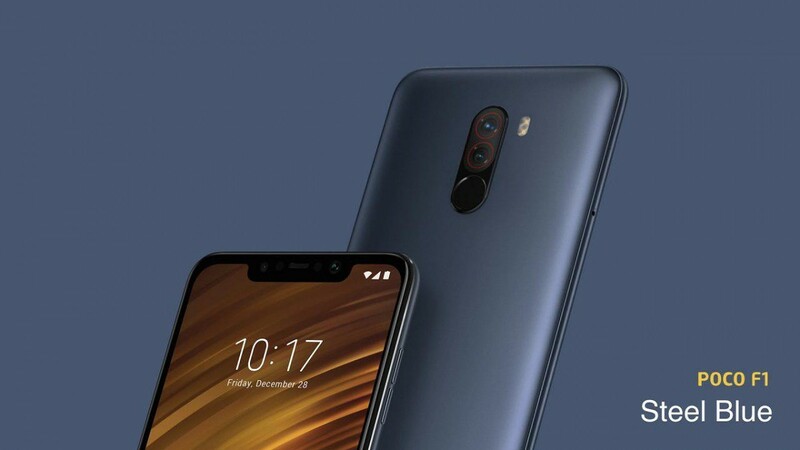 Now, Poco is Xiaomi’s new sub-brand and they want to make sure it has a healthy reputation within the enthusiast community. Jai Mani, the Head of Product at Xiaomi’s new Poco sub-brand, has officially come out and confirmed global Poco F1 users will only have to wait three days before they can unlock the bootloader of their smartphone. As of right now, it’s unclear if this pertains to all Xiaomi devices since Poco is a sub-brand of Xiaomi. However, we have reached out for clarification about this. We listened to your feedback on the bootloader unlock issue and have updated the policy for the @PocophoneGlobal F1. Most users should now be able to unlock within 3 days. There’s a big debate on whether or not a customer is allowed to unlock the bootloader of their smartphone these days. Having this ability allows the owner to install unsigned software onto the device, which is great for the customer. We pay for the hardware and we should be able to put any software we want on it. However, this goes against a lot of goals that businesses have. As mentioned with U.S. wireless carriers, they get paid to have (and keep) their bloatware applications on your smartphone. So if you can unlock the bootloader, root it, remove apps, or even install a custom ROM, then it eats into their pocket. When it comes to the hardware OEM side of things, each one has their different reasons. Some get tired of spending resources on dealing with people installing things that ultimately break the functionality of the phone. We’re glad to see the Xiaomi and the Poco F1 will not be a part of this problem.